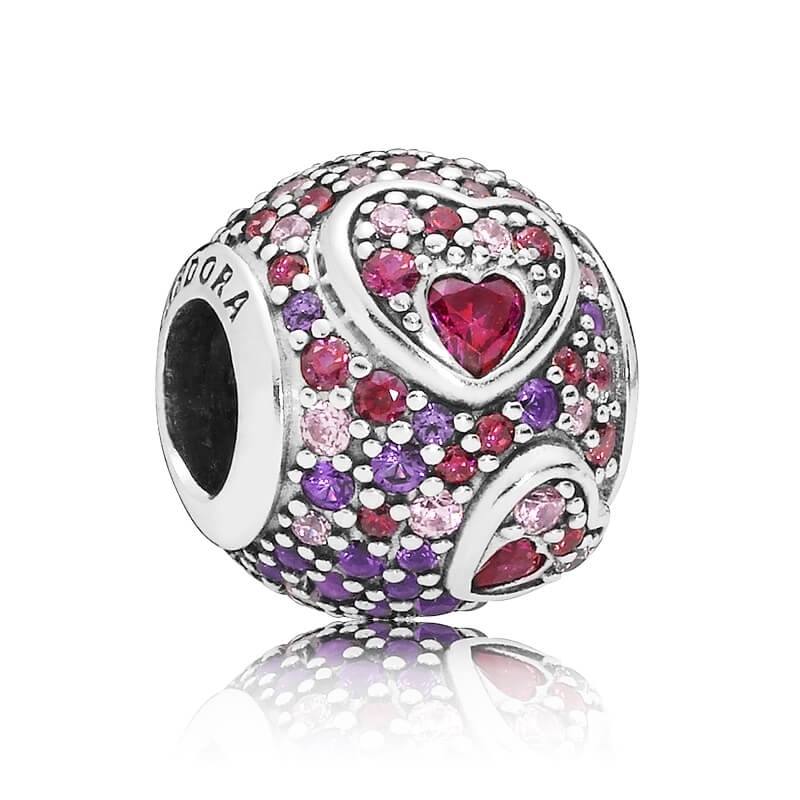 PANDORA Asymmetric Hearts of Love Charm. Bursting with colour, this sterling silver charm is adorned with a a mix of crystals, in varying sizes to create an intriguing nuanced pattern. The asymmetric design represents love that comes in many forms. Thank you for your comments, We're delighted that you are happy with our service and have received your order promptly.